Replacement of single or multiple teeth, either individually or two can be linked to make a bridge to support several teeth. They also great for holding in a denture, commonly used in a case to hold a problematic lower denture in place. Implant treatment normally has two stages. First, the implant is placed in the jaw. Then, when the jaw has healed, replacement teeth are attached to the implant. In some situations, it is possible for temporary teeth to be attached to an implant at the time of fitting. Implants are placed in the jaw with a local anaesthetic. You can opt to have sedation for this procedure also. Under the gum. the bone then grows round the implant to hold it firm. This can take a few months depending on the position in the mouth. 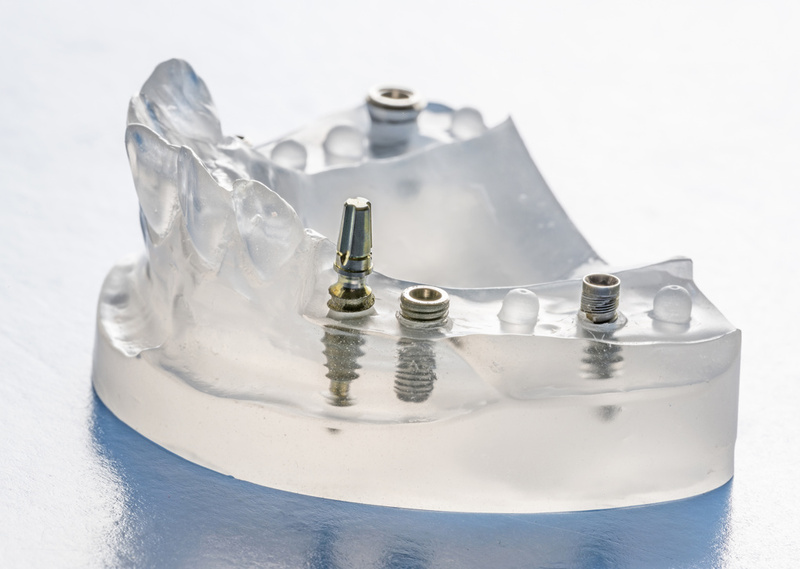 Implants usually have two sections – the post in the jaw and an extension that is added later when the post is secure. You might have more than one implant. The replacement teeth might be fixed permanently (like a crown or bridge) or attached in a way which lets you remove them for cleaning (like a denture).